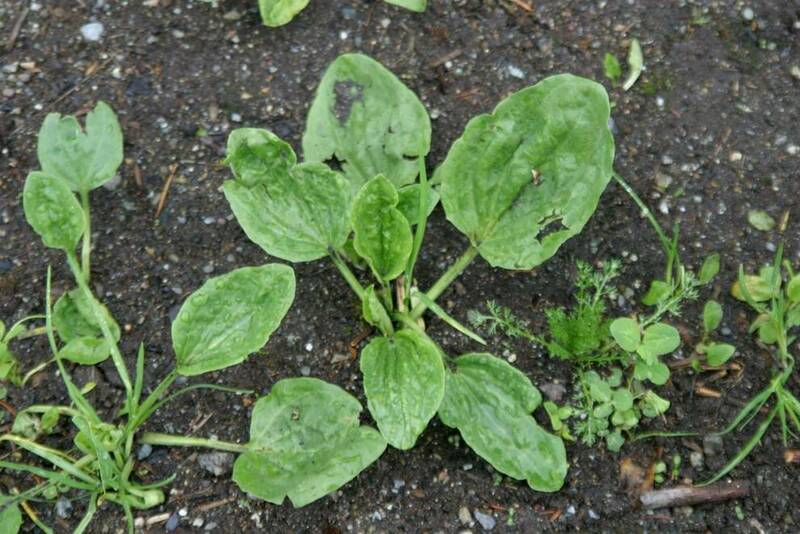 I’ve liked plantain for quite a while. The animals eat it, it grows a deep root into poor soil, stops bee stings from hurting, and is a good wormer to help fight off parasites. 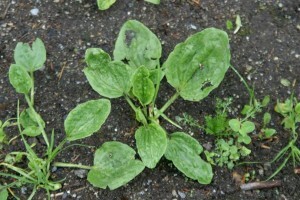 There are two common varieties around here; Broadleaf Plantain, and English Plantain. It quickly appears in places where bare soil needs protection. 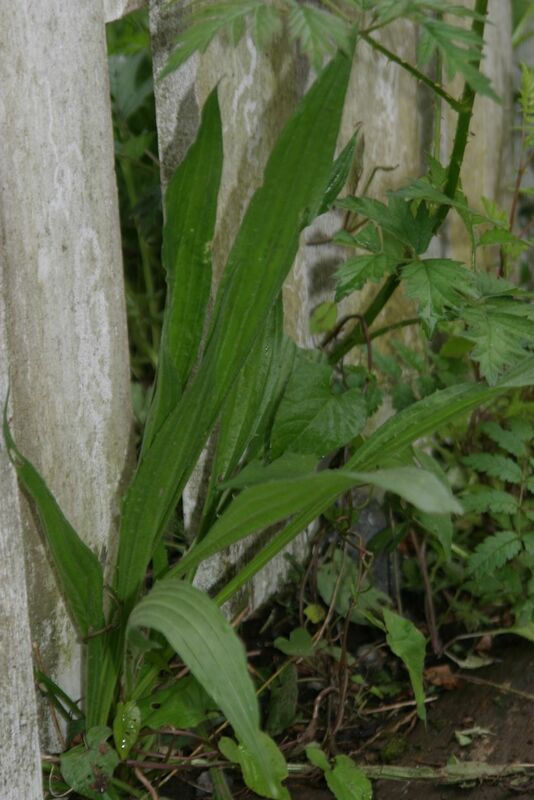 Last year I did a scythe demonstration where I cut a wheelbarrow load of plaintain in about 30 seconds. I then rolled this over to the goat pen where the animals quickly gobbled it up. The hot dry summer weather that hits us in July and August doesn’t slow down this plant much because its deep root can reach down to pull moisture and nutrients the grasses miss. This means it’s green and lush when the “summer slump” has made much of the grass go dormant. I remember that my mom always put mashed up plantain on my bee stings. Since I was a kid at the time, I never thought anything of it…until I started keeping my own beehives. I’ve been stung about 4-5 times this summer, and I am now convinced about how much this little plant can stop the sting from hurting! It’s one of the little “just in case” things I look for when I go out to collect bees when someone calls about a swarm in their yard. On Saturday I learned another reason why I like this plant. The family and I were giving a farm tour while the attendees were coming in for our Holistic Farming Seminar, when Dr. Paul Dettloff joined us. One of the first things he pointed out was: “look at all this plantain! 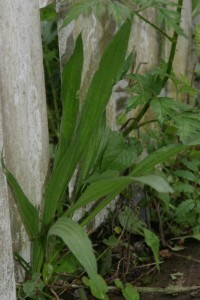 Nathan, do you know what this is good for?” (Samuel and I were moving duck pens near a grass & weed covered gravel drive behind the barn, and there was a lot of plantain there.) I said I liked it because it is grows in poor soil, and the goats & chickens eat it. He went on to explain how plantain is a good wormer for cows, goats, & sheep. Dr. Paul later said how a grazing animal should eat 100 different kinds of plants every 5 days in order to stay healthy. I’m glad that I’ve got this little weed growing around here! This entry was posted in Farming and tagged Beekeeping, grass, grass-fed, Pasture, Plants. Bookmark the permalink.